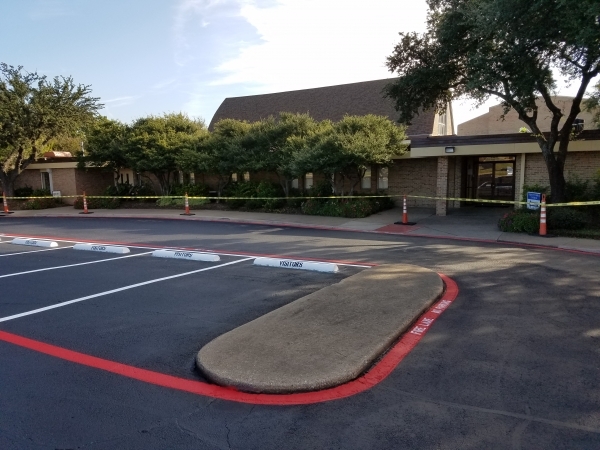 Renco Construction, Inc. provides concrete repairs, enhancements and new construction to commercial customers across the Dallas/Fort Worth Metroplex. Our team has extensive experience building and enhancing outdoor surfaces, and is widely recognized for achieving safe and beautiful outcomes. Regardless of the size of your project, Renco is equipped with the manpower and expertise to get your job done on-time and on-budget! We are fully bonded and carry full worker's comp insurance on all our employees. For more information on asphalt paving services near Garland and other services from Renco Construction, give us a call today (214) 941-2563.